A RSAF M-346 and a FAF Alpha-jet received a special tail color. 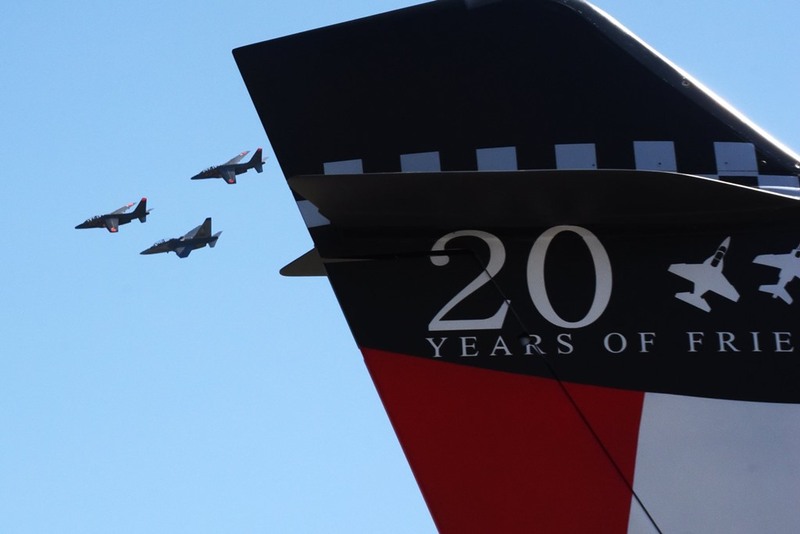 Singapore and France unveil celebrative jets to mark 20 years of cooperation. 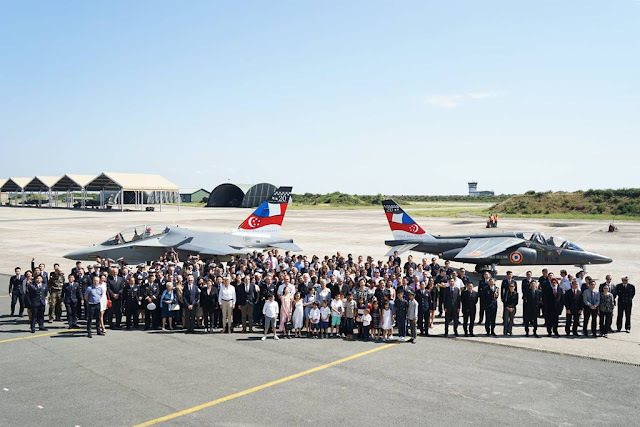 The Republic of Singapore Air Force (RSAF) and the French Air Force (FAF) commemorated the 20th anniversary of 150 Squadron at Cazaux Air Base, France, on July 13. Singapore's delegation was led by Minister for Defence Dr Ng Eng Hen and Chief of Air Force Major-General Mervyn Tan. The French delegation included Secretary of State to the Minister for the Armed Forces Geneviève Darrieussecq and General Officer Commanding the South West Defense and Security Zone & Air Forces Commander Lieutenant-General Jean Rondel. During the ceremony, the authorities have unveiled two special color aircraft. A RSAF M-346 and a FAF Alpha-jet received on the tail the flags of the two nations and the words "20 YEARS OF FRIENDSHIP". In addition, a special aircraft formation composed of the two types performed fly-bys over the airfield. 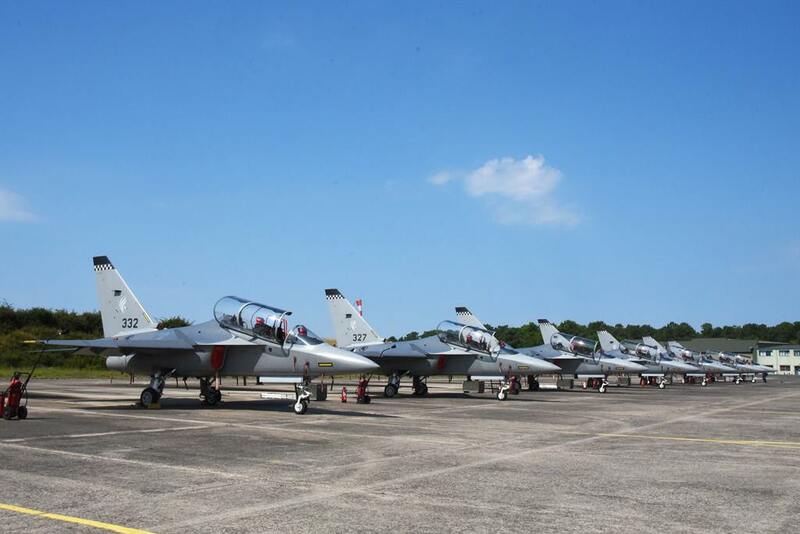 RSAF 150 Squadron operates the M-346 Advanced Jet Trainer aircraft which was inaugurated by Dr Ng in September 2014. The M-346 aircraft replaced the A-4SU Super Skyhawk for the Advanced Jet training programme, and enhances the training for RSAF fighter pilots thanks to a modern avionics systems, aerodynamic performance and sophisticated simulations. Cazaux Air Base is home to 150 Squadron and its personnel, including instructional pilots, Air Force Engineers, flight aircrew trainees and support staff. The RSAF has conducted flying training in France since 1998. Such overseas training and detachments allow the RSAF to overcome the land and airspace constraints in Singapore. Both the RSAF and FAF also interact regularly through visits, various professional exchanges and cross-attendance of courses. On July 14, a RSAF M-346 took part in the French National Day Parade for the first time. The jet flew in formation with 5 French Alpha-jets over the Champs-Elysées to mark strong collaboration between the two nations.